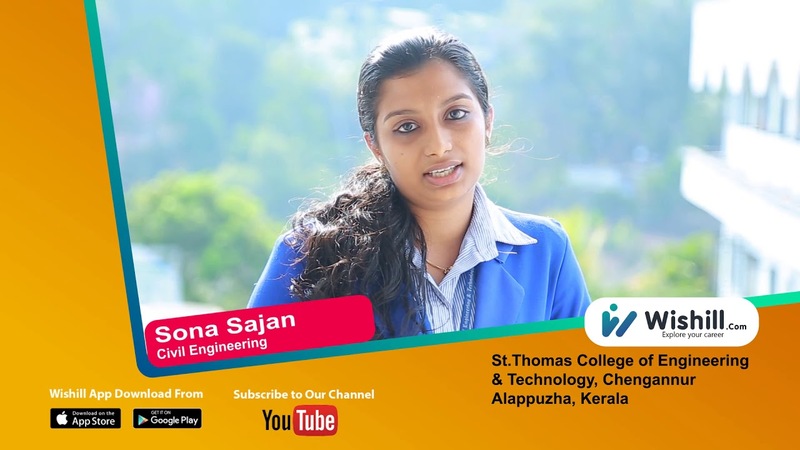 The St. Thomas College of Engineering and Technology is a premier educational institution offering excellence in engineering education. The College is approved by the All India Council for Technical Education, New Delhi (AICTE) and affiliated to APJ Abdul Kalam Technological University (KTU). The college is situated at Kozhuvalloor, Venmoney around 5km from Chengannur in Alappuzha district and is well connected to all major cities by road and railway networks. The college is located in a beautiful and tranquil location with a lake side view and plenty of lush landscape providing a pleasant learning environment. The college provides separate hostel facilities for boys and girls and operates bus services from all nearby places. The institution currently offers five undergraduate programmes – Civil Engineering, Mechanical Engineering, Electrical and Electronics Engineering, Electronics and Communication Engineering and Computer Science and Engineering, The College is having full time qualified and experienced faculty and excellent infrastructural facilities for learning and development. 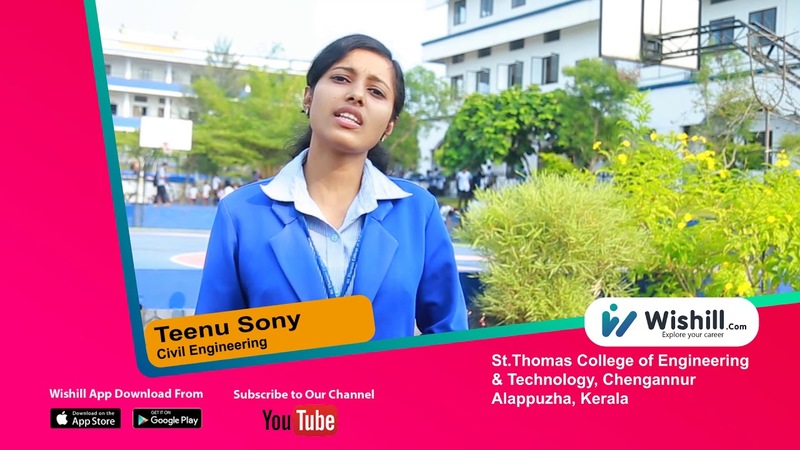 The college is established and managed by St. Thomas Educational Society, Adoor. The members of the society have proven track records in the field of Education, Engineering, Medical, Management etc. Pass in Higher Secondary Examination Kerala, or examinations recognized as equivalent thereto, with 50% marks in mathematics separately, and 50% marks in mathematics, physics and chemistry/ equivalent subject put together. For candidates belonging to socially and educationally backward classes with a total annual family income not exceeding Rs.6 lakhs will have a relaxation of 5% marks in the qualifying examination. The scheduled caste and scheduled tribes candidates need only a pass in the qualifying examination. The campus plan is meant to be conducive to a healthy academic atmosphere. While Departments are generally housed in separate buildings, allied disciplines are clubbed together. The twin approaches to the campus provide different perspectives. The main building will face a ground level reservoir and with proper terrain shaping and landscaping, it will present an imposing view along the eastern approach road. Appropriate facade lighting will be designed so that the building will be reflected on the front during night also. The institution will have a fully air-conditioned central computing Lab with high end systems, licensed software, LAN, Printers and multimedia attachments with adequate capacity of UPS, so as to suit the concept of One Student – One machine for hands on experience. Simultaneously internet facility will be provided with 4 mbps, where 100 students can access.The institution is proposing to have a central library in a 1000 SqM area which will ultimately have a collection of more than 20000 volumes and 2000 titles to meet the requirements of the APJ Abdul Kalam Technological University (KTU) and University of Kerala syllabus in addition to 30 National and 10 International journals, newspapers and magazine for reading. The library will have a serene atmosphere conducive to un-interrupted reading and concentration. Geotechnical Engineering (Soil Mechanics) lab. Top Recruiters Wipro, Allianz Cornhill, NTAG, SUTHERLAND, OMNEX,HCL,UST Global,Flipkart.com,MaRRs,PHYKON.